Metabyte has always invested in the ideas of its employees. In the last year, we formalized Metabyte Ventures, LLC in preparation to launch Teamanics, Inc. At Metabyte Ventures, we continue investments in employees and launch disruptive startups. Teamanics introduces an industry first peer rating platform for candidate skills, traits, and experiences. By leveraging peer insights, Teamanics reengineers hiring and its economics to create the best solution at the best cost. It takes the guesswork out of hiring and streamlines all hiring workflows into a Hiring Platform as a Service (HPaaS). 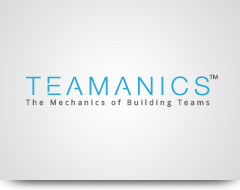 People use Yelp for dining, TripAdvisor for travel, and now Teamanics for hiring. 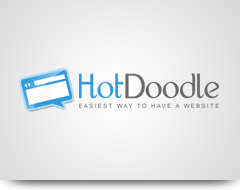 HotDoodle provides website making services for businesses and a marketplace for freelancers. It solves problems facing millions of businesses who struggle to have a website. HotDoodle is a one-stop-shop that provides everything a business owner needs including design services, a domain name, hosting, hacker protection, and search engine optimization. In the mid 1990’s, we invented the digital video recorder (DVR). We took off as Metabyte Networks in 2000 and licensed the technology to cable TV set-top-box makers. As a private label technology, we garnered a larger footprint of the US market than the branded TiVo service. Millions of subscribers from leading cable TV companies like Time Warner Cable, Cox and Rogers use MbTV to record and watch television. Metabyte Networks received $20 million in investments from Seagate, Thomson, Canal Plus Technologies, and Scientific Atlanta (now Cisco). In the 1990s, we pioneered 3D graphics driver optimization technology and invented 3D stereoscopic technology. We funded the development of these concepts and launched Wicked3D, which delivered an unprecedented, immersive experience for 3D gaming. 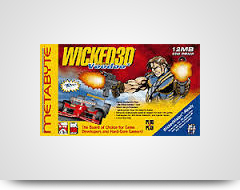 Wicked3D gained tremendous traction with PC gaming enthusiasts and won Editor’s Choice awards from magazines like PC Gamer and Computer Gaming World. Our Wicked3D products were sold worldwide by national distributors like Electronics Boutique in the US, Dixons in the UK, and regional distributors in Germany, France, Spain, Italy and Japan.